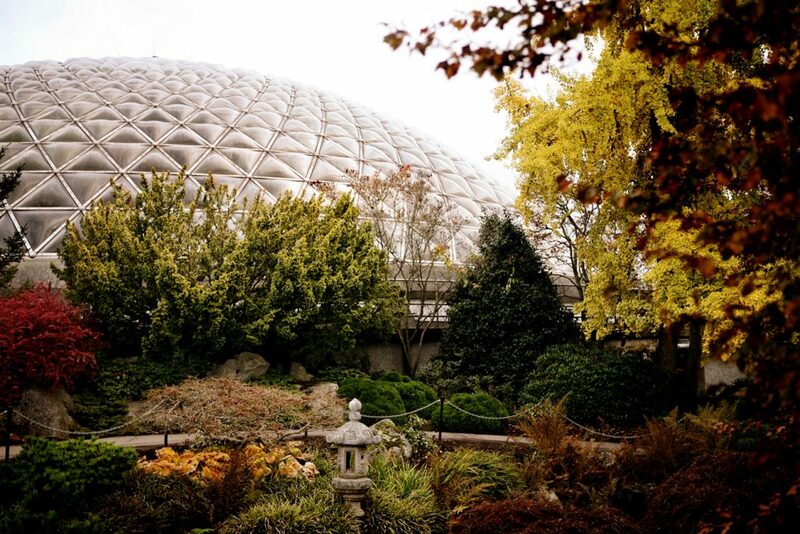 The Bloedel Conservatory, a jewel in the city perched atop Queen Elizabeth Park. 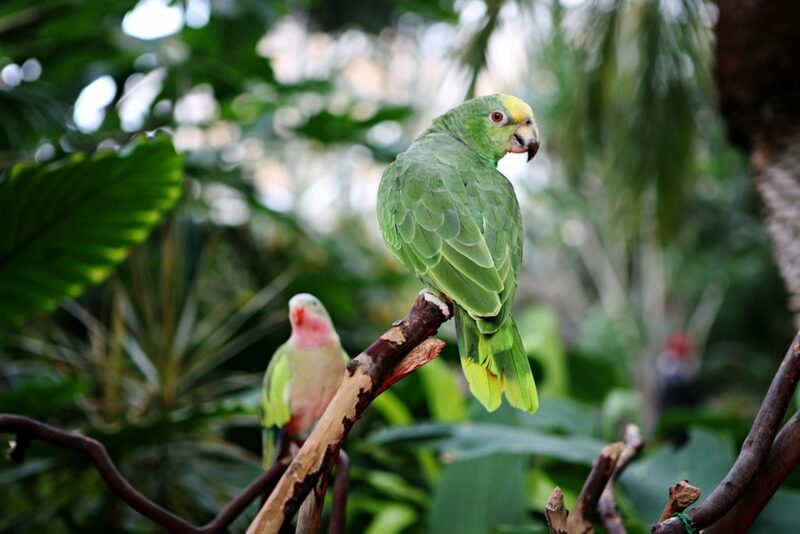 Casey, a Yellow-Crowned Amazon Parrot, and Monty, a Princess Parrot, are among over 200 free-flying exotic birds that live in the Bloedel Conservatory. 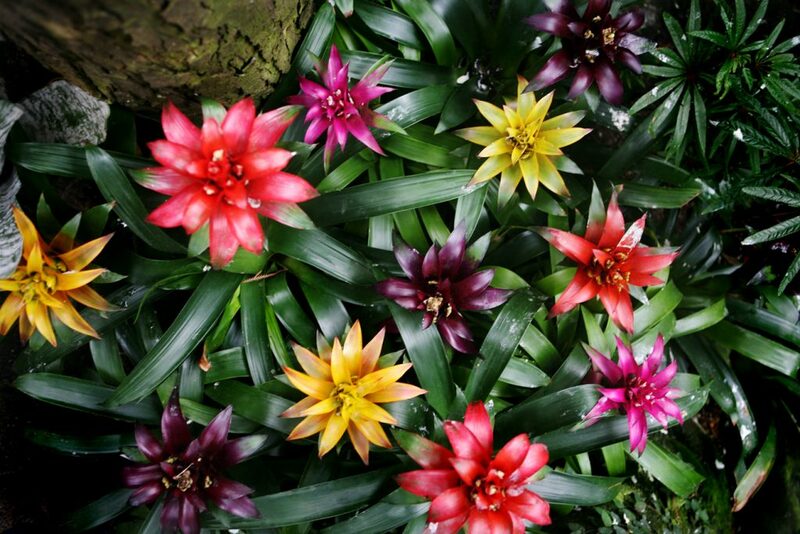 Bromeliads, mainly native to the tropical Americas, are among 500 exotic plants found in the temperature-controlled environment at the Bloedel Conservatory. 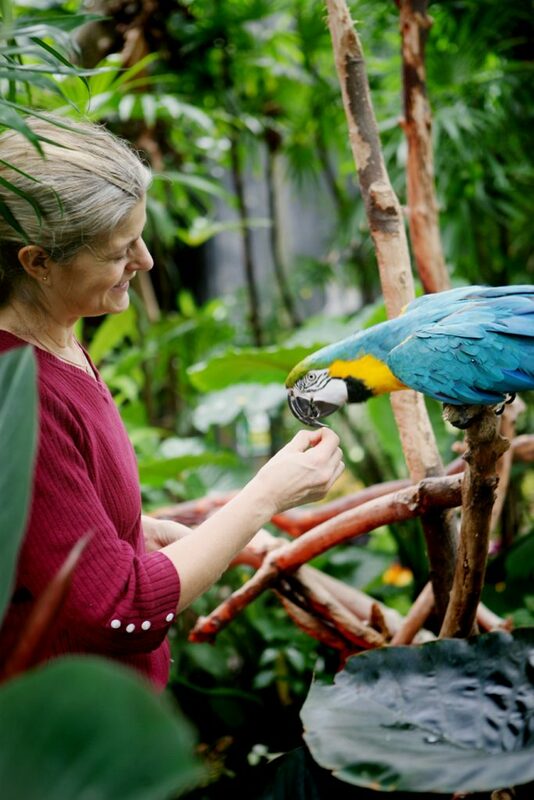 Vicky Earle, former president of Friends of the Bloedel and current governor of the VanDusen Botanical Garden Association, offers Art, a blue and yellow Macaw, an afternoon snack. 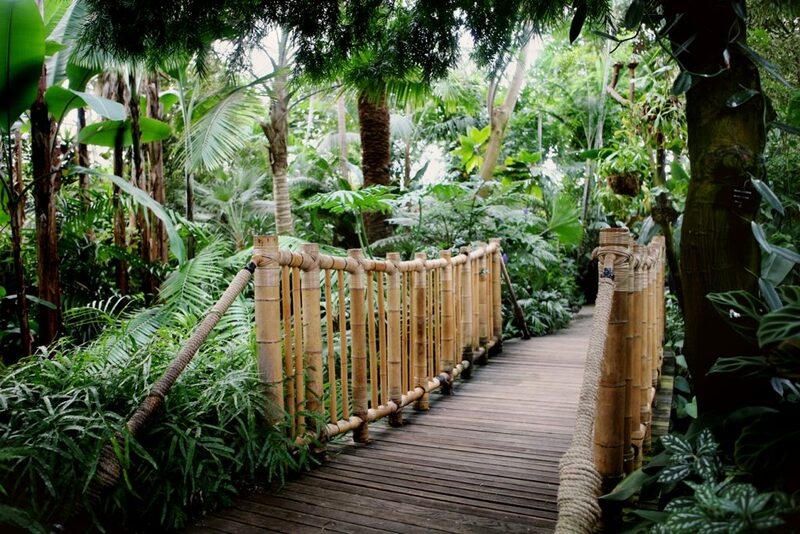 Upon entering the Bloedel Conservatory, visitors pass over a bamboo bridge and are met by waterfalls, exotic birds, and tropical plants. Opened in 1969, the Bloedel Conservatory is dedicated to providing visitors with an appreciation for and understanding of the world of plants. 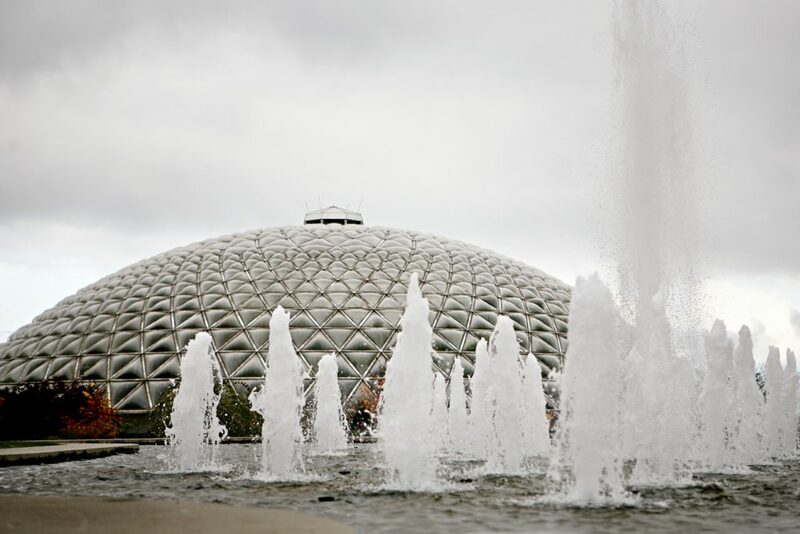 The “Dancing Waters” fountain outside the Bloedel Conservatory at Queen Elizabeth Park. 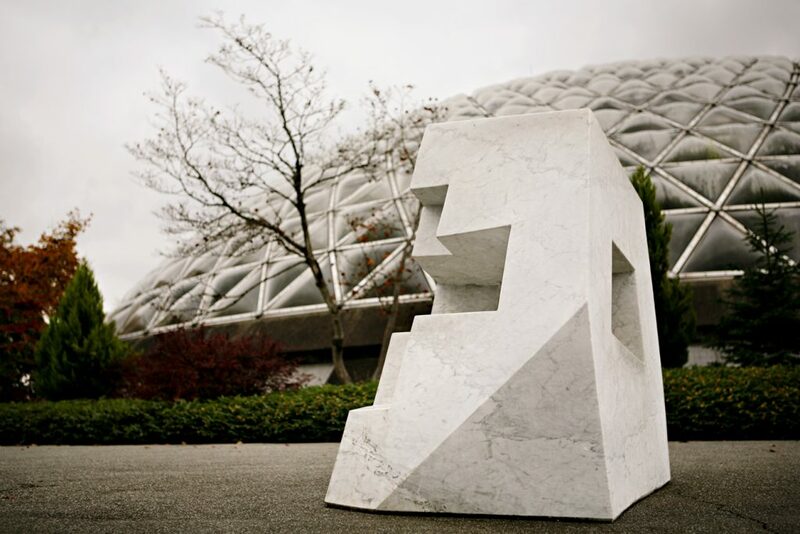 Inspired by modernist forms, four marble sculptures by local artist and Emily Carr University graduate Cameron Kerr are displayed outside the Bloedel Conservatory. 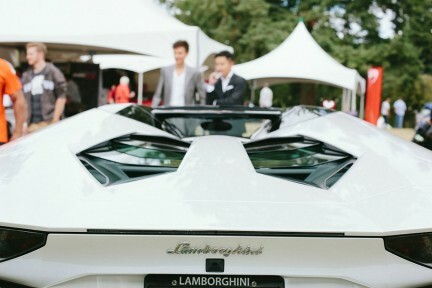 Dreaming of a warm getaway this winter? 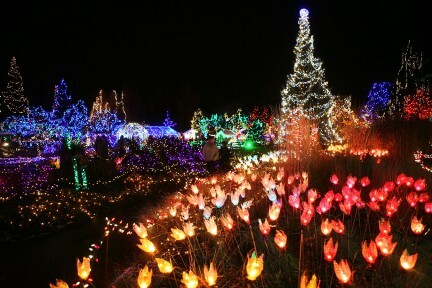 You need go no further than Queen Elizabeth Park. Truly an oasis in the city, the Bloedel Conservatory can brighten any day with its tropical clime, colourful flora, and the vivid plumage of its inhabitants. 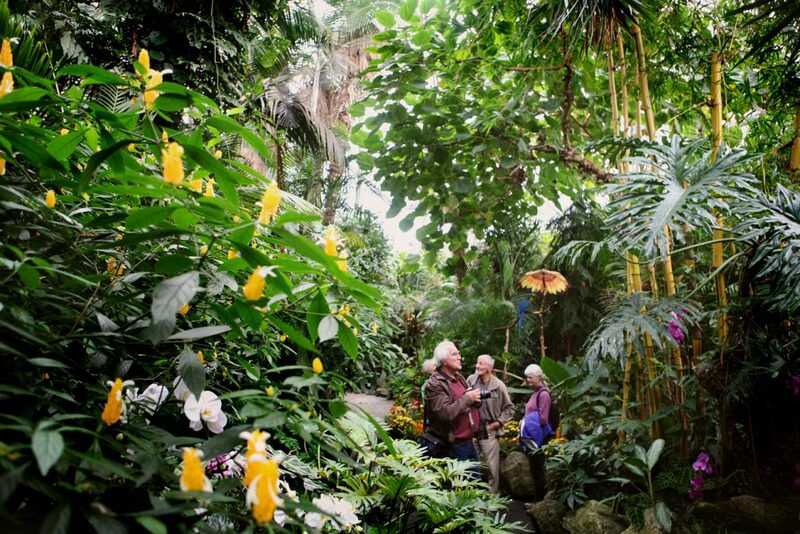 The conservatory for exotic plants and birds was saved from closure four years ago thanks to Friends of the Bloedel, a non-profit association formed by concerned citizens. 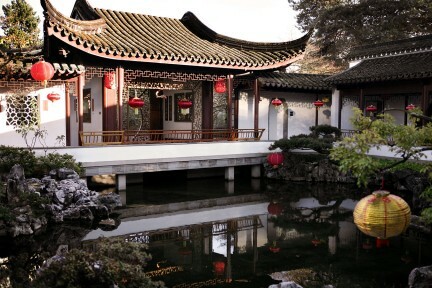 Now under the wing of VanDusen Botanical Garden, the triodetic dome— honoured with a Places that Matter plaque from the Vancouver Heritage Foundation in 2012—is home to over 100 free-flying exotic birds and 500 tropical plants from around the world. 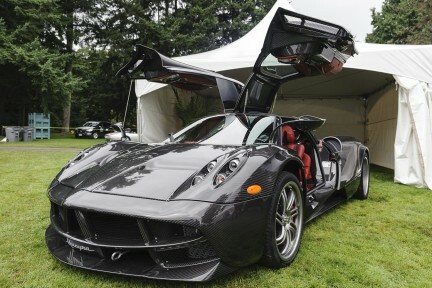 See more of Joshua McVeity’s explorations.